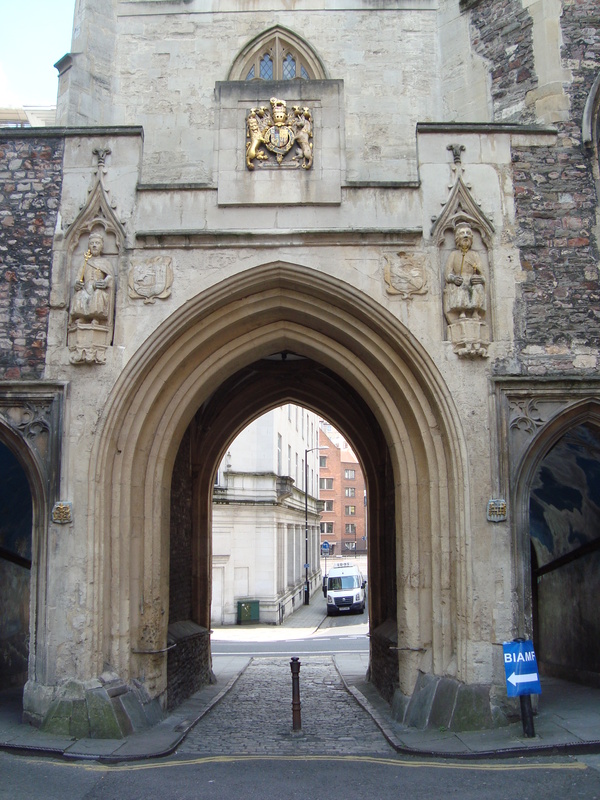 St John’s Arch, Bristol: the last remaining medieval gateway into the old city. It’s a nice story that the two states either side are Brennus and Belinus, mythical founders of the city. Clearly a borrowing from the legend of the founding of Rome by Romulus and Remus, the names come via the great medieval fantasist Geoffrey of Monmouth.